Independence Day in Cozumel is a spectacle not to be missed! Mexican Independence Day is the most important national holiday of the year for the Mexican people. 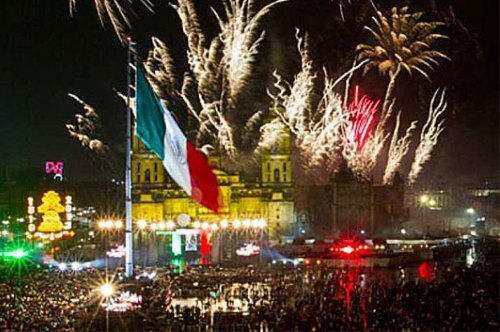 On the night of September 15, residents and visitors come to City Hall, as they do in all the cities around Mexico, to participate in the traditional cry for independence, Viva Mexico known as ´El Grito! At midnight they enjoy a fireworks display, folk dancing, music and stalls selling all kinds of fabulous Mexican food such as ´esquites´, ´marquesitas´´tamales´and lots of other delicacies. On the actual Independence Day, September 16, there is a parade through Cozumel’s downtown and along the waterfront. All throughout the week, residents and visitors are invited to visit the fair near the City Hall that includes food stands, games, dancing and shopping. Its a must for all the family to enjoy!